To develop guidelines describing a standardised approach to patient preparation and acquisition protocols for magnetic resonance imaging (MRI), computed tomography (CT) and ultrasound (US) of the small bowel and colon, with an emphasis on imaging inflammatory bowel disease. An expert consensus committee of 13 members from the European Society of Gastrointestinal and Abdominal Radiology (ESGAR) and European Society of Paediatric Radiology (ESPR) undertook a six-stage modified Delphi process, including a detailed literature review, to create a series of consensus statements concerning patient preparation, imaging hardware and image acquisition protocols. One hundred and fifty-seven statements were scored for agreement by the panel of which 129 statements (82 %) achieved immediate consensus with a further 19 (12 %) achieving consensus after appropriate modification. Nine (6 %) statements were rejected as consensus could not be reached. These expert consensus recommendations can be used to help guide cross-sectional radiological practice for imaging the small bowel and colon. Increased utilisation of cross-sectional techniques to image the bowel has occurred in recent years, particularly in the context of inflammatory bowel disease. A large body of evidence now supports the use of computed tomography (CT), magnetic resonance imaging (MRI) and ultrasound (US) in this context, and recent expert guidelines recommend cross-sectional imaging as first line in the diagnosis, staging and follow up of inflammatory bowel disease . In common with many radiological tests, image quality is paramount to achieving high diagnostic accuracy, and there is a risk that rapid dissemination can occur without sufficient attention to acquisition protocols. This is particularly pertinent when imaging the bowel, a complex, motile organ where non-diagnostic examinations are a particular risk. For example, adequate bowel distension is important prior to enteric imaging and correct sequence selection is central to high quality MRI . The European Society of Gastrointestinal and Abdominal Radiology (ESGAR) has formed an expert consensus committee to construct detailed guidelines for performing MRI, CT and US when investigating disorders of the small bowel and colon, with an emphasis on inflammatory bowel disease. 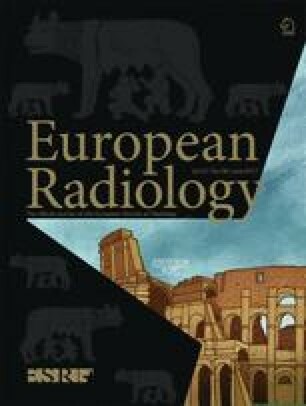 Representatives from the European Society of Paediatric Radiology (ESPR) also participated, given the widespread use of cross-sectional imaging in the paediatric age group. The specific remit of the committee was to produce up to date guidelines concerning patient preparation and image acquisition protocols for MR enterography (MRE)/CT enterography (CTE), MR enteroclysis/CT enteroclysis and US/hydrosonography (hydroUS). Standards for interpretation and reporting examinations, together with consideration of clinical indications, diagnostic accuracy and advantages and disadvantages of each modality were beyond the remit of the committee and covered by the recent joint European Crohn’s and Colitis Organisation (ECCO)/ESGAR recommendations for imaging in inflammatory bowel disease . This article reports the recommendations of the expert panel. A call for expressions of interest to take part in the process was circulated to all ESGAR members. From those expressing interest, a panel of ten members (including the chair) were invited based on publication record in the field and geographical location to ensure, as far as possible, appropriate representation across the ESGAR membership. The committee was then supplemented by three members chosen by the ESPR for all paediatric considerations, to give a total of 13 individuals. Two research fellows were added to help with the literature review and document construction, but they did not take part in committee consensus voting. The consensus committee met for a face to face discussion to define the scope and aims of the process (11 June 2015), and an initial questionnaire including 185 items was drafted by the chair and then circulated electronically to all committee members. Each item consisted of a specific question with an appropriate range of possible responses, including an option for free text. The questionnaire was split into four broad topics: (1) patient preparation for MRE/MR enteroclysis/CTE/CT enteroclysis, (2) MRE/ MR enteroclysis technique and sequence selection, (3) CTE/CT enteroclysis technique, and (4) enteric US patient preparation and technique. Items were duplicated for both adult and paediatric populations as appropriate. The questionnaire was then modified based on feedback from committee members and a final version agreed upon, which defined individual topics requiring consensus statements. The consensus committee was split into four subgroups matching the four broad topics. Members of ESPR formed a fifth subgroup for paediatric considerations throughout the questionnaire. The agreed questionnaire was circulated electronically to committee members who completed their responses to each item in order to document initial expert opinion. The responses were summarised centrally. A radiology research fellow performed a detailed literature search based on the strategy used by Puylaert et al. . Full details of the search are given in Table 1. The fellow reviewed the retrieved abstracts and selected those pertinent to the items in the questionnaire. Queries were resolved by face to face discussion with the committee chair. The final search retrieved a list of 727 publications, which were circulated to all committee members, along with full abstracts. Working groups were at liberty to update the literature search at their discretion. Within their working groups, committee members drafted consensus statements for each item listed in the questionnaire based on the available literature and expert opinion as appropriate (using the summarised committee responses to the questionnaire). Members were instructed to always base their statements on the retrieved literature wherever possible, and to this end graded the strength of retrieved relevant publications from I (high) to V (low) using the criteria of the Oxford Centre for Evidence Based Medicine  during their review process. If no relevant literature was available for a particular item, members used expert opinion to construct the consensus statements. Each working group produced a list of draft consensus statements, a summary of the supporting literature and table of relevant publications with evidence strength grade, which was then circulated to the whole committee. All committee members graded their agreement with each draft consensus statement from 1 to 5 according to the following definitions; 1, strongly disagree; 2, somewhat disagree; 3, undecided; 4, somewhat agree; 5, strongly agree. The responses were summarised centrally. Those statements achieving a score of 4 or 5 by at least 80 % of committee members in step 5 were accepted into the final set of consensus statements. Those not achieving this were re-discussed at a face to face meeting of the committee (6 March 2016) attended by seven members. Those members who were unable to attend contributed via electronic submissions, which were presented by the chair. Statements not achieving consensus were reviewed with reference to the literature summaries produced by each working group, and committee member opinions were sought. The statement was then either modified or deleted if it was clear consensus could not be reached. The list of revised statements was recirculated to the whole committee who graded agreement from 1 to 5 as in step 5. Those statements achieving a score of 4 or 5 by at least 80 % of committee members were added to the final set of consensus statements. The current clinical practice of the panel members is summarised in Table 2. The 13 voting committee members were from the UK (2), Sweden (1), France (4), Netherlands (1), Korea (1), Italy (2), Spain (1) and Ireland (1). Eleven out of 13 panels members used 1.5 T for MR and 2 members used 3 T routinely. Nine panel members had access to CT with at least 64 slices and two had access to a 16-slice scanner. The final agreed upon questionnaire consisted of 157 items generating individual consensus statements. At the first round of committee voting, 129 statements achieved consensus according to the a priori definition. The remaining 28 statements did not achieve consensus and were modified to produce a set of 19 statements, all of which achieved consensus agreement in the second round of voting. Those statements which could not be modified to reach consensus were deleted and are shown in Table 3. The final set of 148 consensus statements underwent further editing by the committee chair to avoid duplication, leaving a total of 125 final consensus statements shown in Table 4. The committee considered four main topics as the basis for the consensus statements, with an additional section for specific paediatric considerations. There is little evidence on optimal patient preparation prior to MRI or CT, and recommendations with regard to periods of nil by mouth for solids and fluids were based mainly on expert opinion. Ingestion of sparkling water is not recommended due to the risk of producing intraluminal gas artefacts, particularly during MRI. There is good evidence that the accuracy of MRI is improved by administration of oral contrast, in comparison to unprepared MRI . Many oral contrast agents are described in the literature [7, 8, 9, 10, 11, 12, 13], but no strong evidence from patient cohorts supports one particular oral contrast agent over another. A number of agents are therefore recommended, usually with hyperosmolar properties  and ingested over 46-60 min prior to the examination . Evidence pertaining to the optimal volume of oral contrast agent is limited, although a study in ten healthy volunteers showed inferior distension quality when the ingested volume of oral contrast agent is below 1,000 ml . There was no consensus as to whether the oral contrast agent should be split into two aliquots prior to ingestion or drunk continuously, and both approaches seem acceptable. Although there is evidence that examinations of reasonable quality can be achieved with as little as 450 ml of oral contrast agent , no consensus was reached on the minimum oral contrast load for acceptable MRE or CTE and in clinical practice this is usually judged on a case by case basis. Plugging of a stoma is recommended to improve enteric distension, but there is no direct scientific evidence to support this approach. Similarly, in patients with significant bowel resection, scanning earlier, for example at 30 min, may be advisable. The recommended choice of enteric contrast agents for enteroclysis examinations in general mirrors those recommended for enterography. However, the use of water during CT enteroclysis was included given the speed of CT acquisition, minimising the detrimental effects of gut absorption seen with longer examination times. The optimal volume of contrast agent for both CT enteroclysis and MR enteroclysis should be based on real time on table monitoring. The routine use of bowel laxatives and rectal enema is not recommended, although there is good evidence that detection of colonic inflammation with MRI is improved with administration of a water enema in comparison to evaluating the unprepared colon [17, 18]. If dedicated colonic evaluation with MRI is required, it is therefore recommended to prepare the colon using a water enema [19, 20], or with prolonged oral preparation . The use of an automated pump for oral contrast administration during enteroclysis is recommended, although hand injection is an acceptable alternative. Although there is some data suggesting superior bowel distension is achieved in the prone position , there is no strong evidence this improves diagnostic accuracy. While also recognising that some patients have difficulty lying prone, either supine or prone positioning is considered acceptable. The use of phased array coils at either 1.5 T or 3 T is recommended. There was no consensus for which field strength was optimal for enteric MRI, with data suggesting high image quality is routinely possible on 3 T as well as good quality 1.5 T [23, 24]. There is some evidence that MRE can achieve high diagnostic accuracy without use of a spasmolytic , although other data shows significantly superior distension and with the use of these agents , particularly in the proximal small bowel, as well as a beneficial effect on study quality by removing peristalsis. Use of spasmolytic prior to MRE and MR enteroclysis is therefore recommended. The literature suggests both hyoscine butyl bromide and glucagon are acceptable agents with differing properties in terms on speed of onset and duration of effect, although both are most effective when given intravenously . Whilst there is volunteer data suggesting superiority of glucagon in achieving complete aperistalsis , there is currently no evidence this translates into improved diagnostic accuracy and based on cost, availability and expert opinion, hyoscine butylbromide is recommended as the first-line spasmlotyic, with glucagon as second line. There was no consensus as to the optimal timing of spasmolytic administration or whether the dose should be split in an attempt to maintain aperistalsis throughout the duration of the MR examination. It is therefore recommended that spasmolytics should be administered before motion sensitive sequences (typically fast spin echo T2-weighted sequence and post contrast T1-weighted images) and either a single or a split dose are acceptable. There is no available evidence informing the optimal combination of T2-weighted and steady state free precession gradient echo (SSFP GE) sequences, although nearly all studies in the literature utilise both sequence types. Recommendations were therefore mainly based on expert opinion. The use of post-gadolinium T1-weighted images are recommended with data suggesting increased diagnostic accuracy with their use [29, 30], and utility of bowel wall enhancement in validated disease activity scores [31, 32] . There was no available evidence suggesting a single optimal time for post-gadolinium image acquisition, and the recommended options are based on mainly expert opinion. There is increasing evidence in support of quantified small bowel motility to improve diagnostic accuracy [33, 34], assess disease activity [35, 36, 37, 38] and evaluate treatment response . However, at the current time the panel recommends that cine motility sequences remain optional. Similarly, the use of diffusion-weighted imaging (DWI) is increasing, with data supporting its role for disease identification and activity assessment [40, 41, 42, 43, 44, 45], and a potential replacement for i.v. contrast-enhanced sequences . It’s advantage over and above conventional MRI sequences, however, is not yet fully established  and it is also considered optional at present. It is acknowledged that DWI may have particular utility in the paediatric population , and recommendations regarding image acquisition are given. Magnetisation transfer sequences are promising  but with little supportive clinical data they are not currently recommended. There is little evidence for the optimal CT platform for performing CTE and CT enteroclysis, but based on expert opinion it is recommended that 16-slice CT is a minimum and 64+ slices is optimal. The use of spasmolytic is optional given the speed of CT image acquisition compared with MRI, and the lack of data demonstrating a benefit of spasmolytic. As for MRI, hyoscine butylbromide is the recommended first line agent if a spasmolytic is used. There was no consensus as to the need for a second-line agent if hyoscine butylbromide cannot be administered, but glucagon may used. CT scan acquisition in either the enteric phase [50, 51] or portal venous phase  is recommended in patients with known or suspected inflammatory bowel disease, with no clear evidence supporting one over the other . For patients with suspected GI bleeding, addition of an arterial phase acquisition is considered mandatory to improve detection of vascular lesions [54, 55]. Recurrent exposure of young patients to ionising radiation from CT is a significant concern. Numerous studies have documented high radiation exposure in the IBD patient population, principally from CT [56, 57, 58, 59, 60, 61]. There are clear recommendations to minimise patient dose by optimisation of tube voltage  and tube current, together with routine use of iterative reconstruction techniques [50, 52, 63, 64, 65, 66, 67, 68] which are increasingly available and capable of producing high image quality. For example, a tube voltage in the range of 80-100 kV can reduce radiation dose and increase contrast resolution . The use of automated tube current modulation is also recommended with good data showing dose reduction with maintained image quality [69, 70]. It is recommended that cumulative radiation dose should be recorded for patients with chronic conditions requiring multiple radiological examinations. CT is not recommended in paediatric practice unless there are no alternatives. There is little evidence on optimal patient preparation prior to US, and recommendations with regard to the period of nil by mouth for food and liquids were based on mainly on expert opinion. There is no evidence supporting the use of bowel laxatives before US or hydroUS and use is not recommend. Detailed assessment of the colon does not require additional preparation. Similar to MRE and CTE, a range of oral contrast agents for hydosonography is described in the literature [71, 72, 73], with no clear evidence for superiority of one over another. A number of agents are therefore recommend, usually with hyperosmolar properties. There is no specific evidence regarding the optimal volume and ingestion protocol for oral contrast and recommendations are based on expert opinion and mainly mirror those of MRE and CTE. There is no evidence of benefit from spasmolytic administration prior to enteric US, and diminishing the ability of the practitioner to evaluate real time peristaltic activity in the bowel detracts from the examination. Its use is, therefore, not recommended. There is good evidence supporting the routine use of colour or power Doppler for disease detection and activity assessment during enteric US and hydosonography [74, 75, 76, 77, 78, 79]. The routine use of contrast-enhanced US (CEUS) is currently not recommended. However there are increasing reports describing the utility of qualitative evaluation of bowel wall vascularity patterns in CD using CEUS [80, 81], as well as software defined quantitative metrics from time-intensity curves such as time-to-peak, peak enhancement and area under the curve [82, 83, 84, 85]. Promising data for evaluation of CD activity against an endoscopic reference have been reported [84, 86], as well as utility in stricture characterisation , detection of postoperative recurrence , and treatment response evaluation . Apparent diagnostic benefit over conventional US parameters is also described  . However, there are no defined optimal thresholds for quantitative CEUS that differentiate active from inactive disease, and there are differences in perfusion metrics between US manufacturers. The precise role for CEUS in clinical practice is likely to evolve as the evidence base grows. If CEUS is performed the recommendations on dosage are made on the most widely reported agent (sulphur hexafluoride), although other agents are available. These are based on manufacturer recommendations in the absence of other evidence. It is recommended that the practitioner specifically reports if the extra enteric solid organs have been evaluated as part of an US examination focused on the bowel. In some clinical practices, it is expected the examination should evaluate the whole abdomen and pelvis, including solid organs, although targeted enteric US (e.g. for treatment follow-up) is also widely practiced. Although in general, paediatric practice follows that of adults [90, 91], there are important exceptions. The use of CT is actively discouraged in the paediatric population given the radiation exposure and should be reserved for situations when neither MRI nor US can resolve the clinical question. Younger children do not tolerate prolonged fluid and food restriction prior to examinations, and recommendations are made according to the age of the patient, mainly based on expert opinion. Unlike adult practice, the use of spasmolytic prior to MRE is considered optional in paediatric patients and use is likely dependent on the age of the patient, with older children more likely to tolerate spasmolytic injection. There are data supporting the benefits of glucagon on image quality, at the expense of prolonged imaging time and precipitation of nausea in just under half of paediatric patients [92, 93]. However, high diagnostic accuracy can also be achieved without spasmolytic . The choice of spasmolytic, if used, mirrors adult recommendations with due consideration of the age and weight of the patient. Recommendations for oral contrast volume and spasmolytic/gadolinium dose are based on weight. There are no specific recommendations as to the use of hydroUS in the paediatric patient as practice is not well developed. If oral contrast is given prior to US, it would seem sensible to follow the recommendations for MRE in the paediatric population. The modified Delphi process utilised in this document is well established, although for the second face to face meeting, not all committee members could attend, with contributions made electronically. However a representative from each working group was present and all committee members subsequently scored their agreement with each modified statement produced. Wherever possible, recommendations were based on the detailed literature review. However, in many areas there was no available evidence, so recommendations were made based on the combined expert opinion of the panel. This will be influenced by the experience and knowledge of the panel members. To mitigate against potential bias, committee members were selected based on publication record and geographical location, and it was ensured that there was experience in all modalities under consideration across the consensus group. Discussions were moderated by the committee chair who was independent of the working groups within the committee members. Finally, these recommendations are relevant at the time of the consensus process (2015/16). The literature in this field is rapidly expanding, and it is anticipated revised guidelines will be required in the future. In summary, a modified Delphi approach was successfully utilised to produce set of guidelines to help inform current best clinical practice in cross-sectional small bowel and colonic imaging. For only a small number of topics could an agreed consensus statement not be produced by the committee. Whilst there is a clearly a convergence in the literature as to basic techniques, for many specific questions there is no clear evidence base and statements were based on expert opinion, with an emphasis on clinical practicability. Based on the findings of the committee, particular topics can be viewed as research priorities given their potential impact on clinical practice. Examples include the role of DWI and motility imaging as part of MRI protocols, and more detailed guidance on i.v. gadolinium contrast administration given the generally young age of the imaged patient population, frequent repeat imaging and increasing evidence of possible neuronal retention of gadolinium for some contrast agent classes . The clinical utility of micro-bubble contrast agents in small bowel US requires further clarity together with the impact of further advances in dose reduction techniques during CT examinations. The European Society of Gastrointestinal and Abdominal Radiology and European Society of Paediatric Radiology supported the development of these guidelines. S. Taylor is a NIHR senior investigator. The scientific guarantor of this publication is Stuart Taylor. The authors of this manuscript declare no relationships with any companies, whose products or services may be related to the subject matter of the article. The authors state that this work has not received any funding. No complex statistical methods were necessary for this paper. Institutional Review Board approval was not required because no experimental work performed. Written informed consent was not required for this study because consensus statement. No study subjects or cohorts have been previously reported. Methodology: retrospective, consensus statement, multicentre study.